The Three Musketeers (Les Trois Mousquetaires) recounts the adventures of a young man named d’Artagnan after he leaves home to become a musketeer. D’Artagnan is not one of the musketeers of the title; those are his friends Athos, Porthos, and Aramis — inseparable friends who live by the motto, “One for all, and all for one”. Dumas claimed the novel was based on manuscripts he had discovered in the Bibliothèque Nationale. 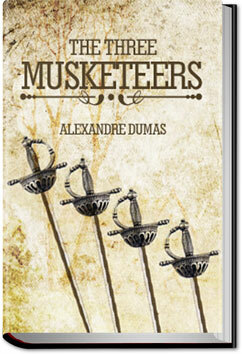 It was later proven that Dumas had based his work on the book Mémoires de Monsieur D’Artagnan, capitaine lieutenant de la première compagnie des Mousquetaires du Roi (Memoirs of Mister D’Artagnan, Lieutenant Captain of the first company of the King’s Musketeers) by Gatien de Courtilz de Sandras. Dumas’ version of the story covers the adventures of D’Artagnan and his friends from 1625 to 1628, as they are involved in intrigues involving the weak King Louis XIII of France, his powerful and cunning advisor Cardinal Richelieu, the beautiful Queen Anne of Austria, her English lover, George Villiers, 1st Duke of Buckingham, and the Siege of La Rochelle. Adding to the intrigue are the mysterious Milady de Winter, and Richelieu’s right-hand man, the Comte de Rochefort. This entry was posted in Action/Adventure Books and tagged allyoucanbooks cancel, download free audio books, free audiobook downloads, free e books, free ebooks, unlimited action and adventure books, unlimited ebooks, on April 4, 2015 by allyoucanbooks.